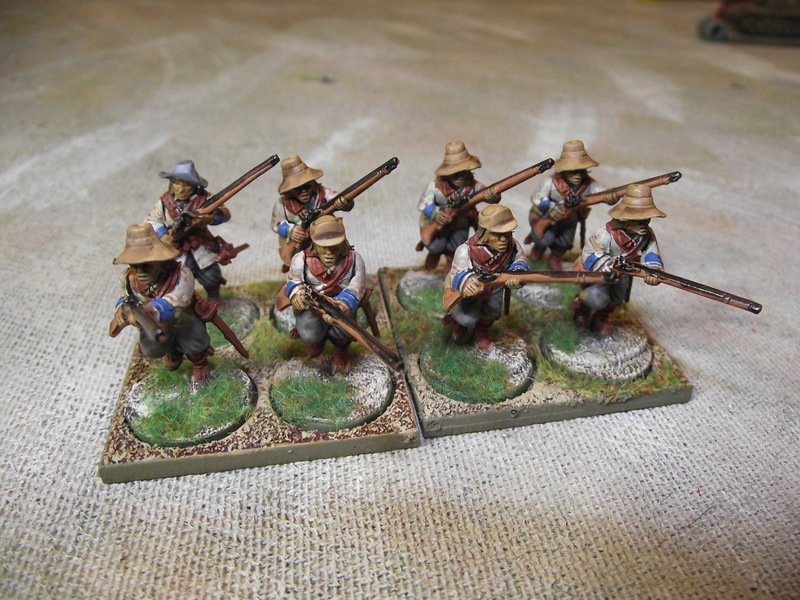 Painting figures – hitting the target!! A smaller commanded shot unit – in white – I am looking to build a small force of white coats to represent the northern royalist forces. Again Warlord Miniatures odds and sods from sprues. 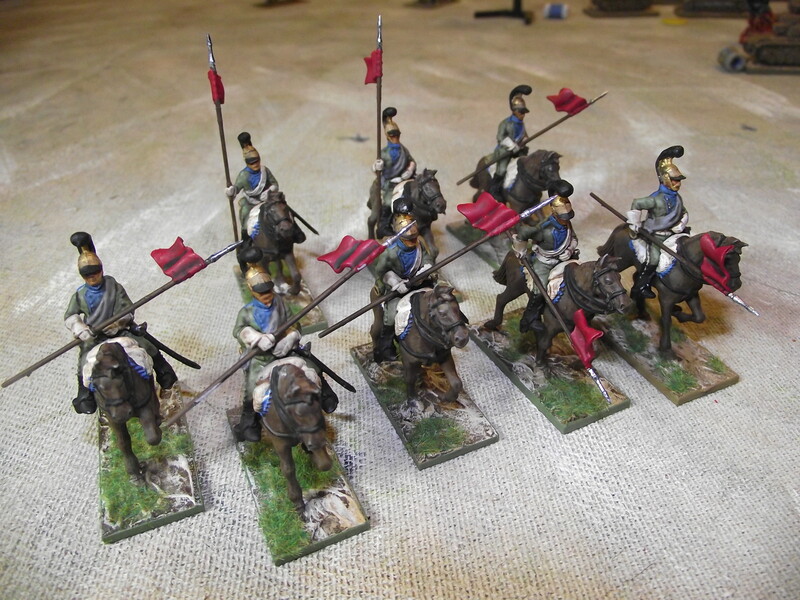 Then a unit of French chevau-leger lancers – ok they didn’t serve in Spain (my main interest) but I have always wanted some!! Again Warlord Miniatures. 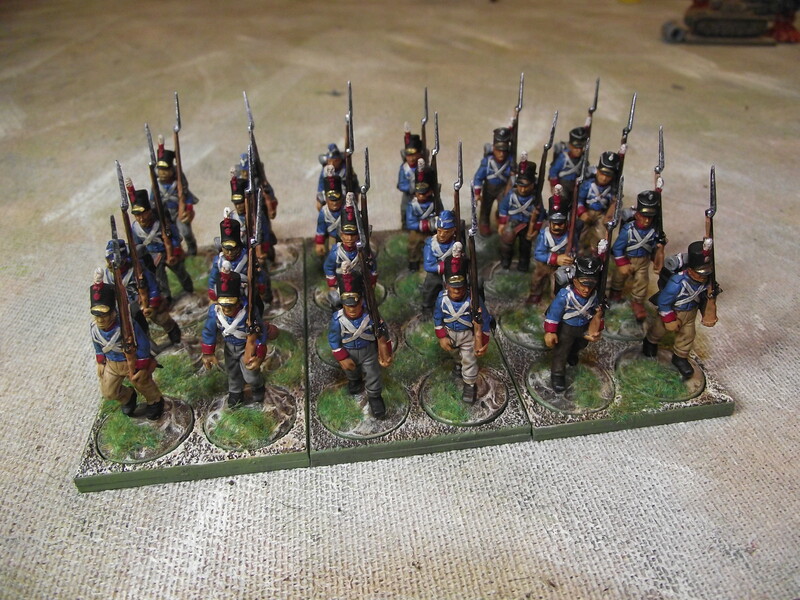 Portuguese infantry – in 3×8 man units for Sharp Practice 2. I got these in one of the Warlords 50% off sprue sales – so in putting them together cocked the hats up a little – there are some later shakos types included! 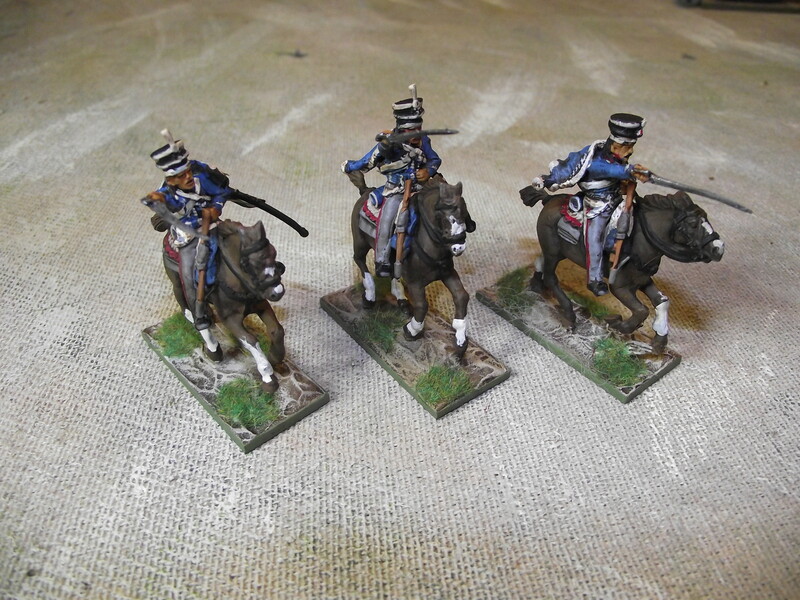 3 British Hussars – hmmm…these are Perry miniatures – the horses are fabulous (so much better than Warlords) but I found the riders a little detail less. I hated painting them – so this unit will get painted probably figure by figure!! 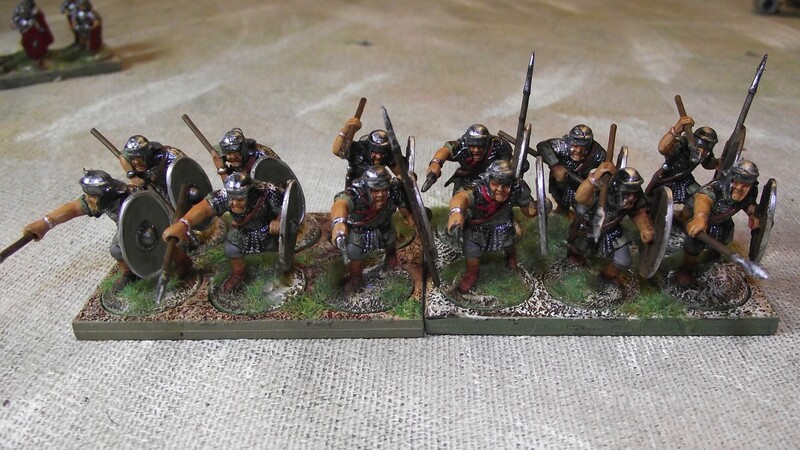 A unit of auxiliaries – Warlord Miniatures – nice simple and effective figures, easy to paint for my To the Strongest rules. 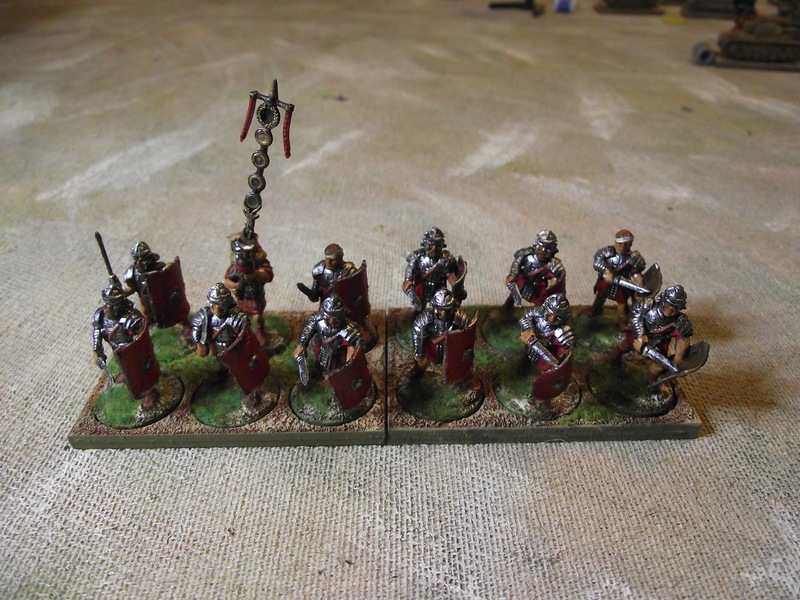 A unit of Roman Legionaries – Warlord Miniatures – again nice simple figures easy to paint. 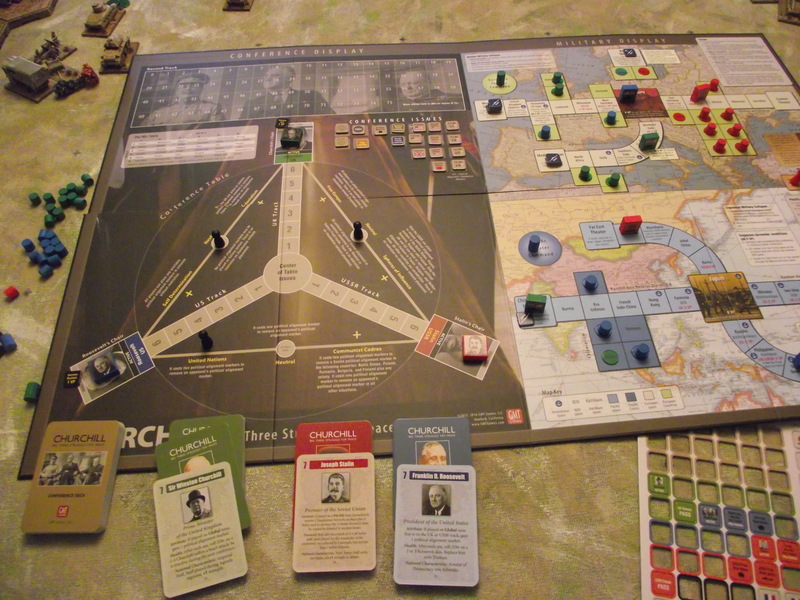 I got my Christmas present the other day – GMT Games Churchill – Struggle for Peace. Very impressed. It is based on the 10 allied leaders conferences during WW2, and the struggle between the three to win the war and more importantly win the peace with some lovely mechanisms to reproduce that. I will blog more on this game. Best of luck – hope you exceed your goals! 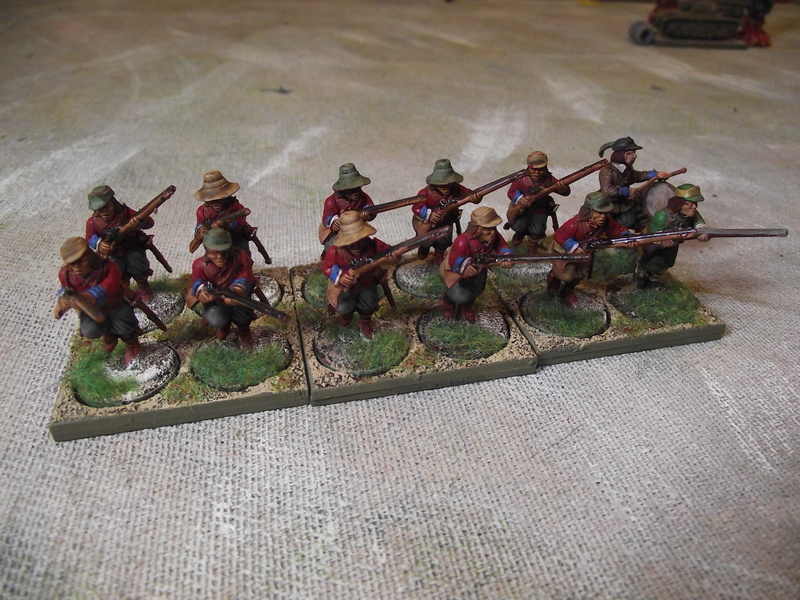 The total sits at 497 now – I painted 2 units of 40 English Civil War units since the last post. I also, sadly, noticed the paint jobs of my first batch were not really up to scratch – need to do touching up!! More haste less speed!! I am building 72 Celt figures at the moment for the next paint batch.